Days after the crash of an Ethiopian Airlines 737 MAX 8 that killed 157 people and led to the plane being grounded worldwide, Boeing and commercial airlines are trying to get a handle on the fallout. 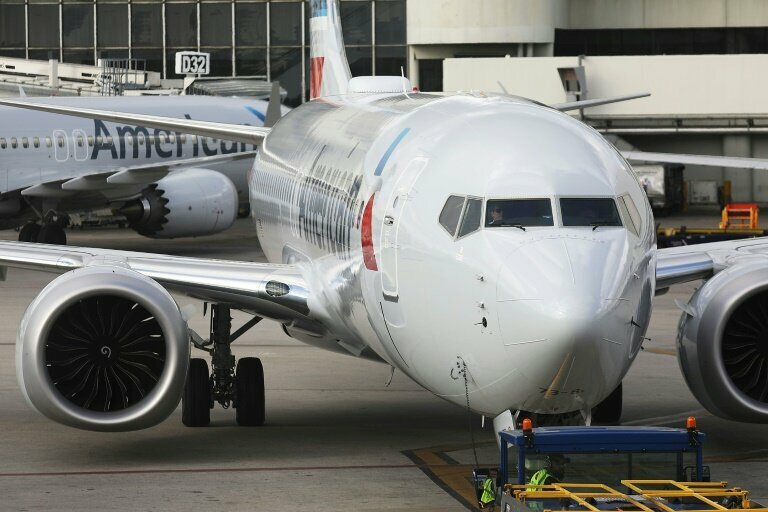 Boeing will have to restore confidence in its product, and pay the costs of any modifications, while airlines try to find workarounds to replace the popular aircraft in their lineup of flights. The US on Wednesday grounded the 737 MAX 8 and MAX 9 models while it continues the search for the cause of the crash, which happened less than five months after a Lion Air plane of the same model went down in Indonesia, killing 189. Both accidents occurred a few minutes after take-off, a similarity that led authorities around the world to pull the plane out of operation. The cost for Boeing and the airlines will depend largely on the length of time the planes are out of commission. How long any reputational damage will endure will depend on how well and how quickly Boeing deals with the a fix, analysts say. "They will have to convince people to trust them again," AirInsight's Michel Merluzeau told AFP. The 737 MAX is expected to account for more than 90 percent of Boeing's planned year-end deliveries, so it will want to keep the ban as short as possible. The company's shares have fallen 12 percent in the days after Sunday's crash in Ethiopia, wiping out nearly $30 billion in value, but so far there have been no reports of cancelled orders. Boeing has repeatedly said its top-selling 737 MAX planes are safe and reliable, but in the wake of the deadly crash in October, it worked on updating its manual and training.